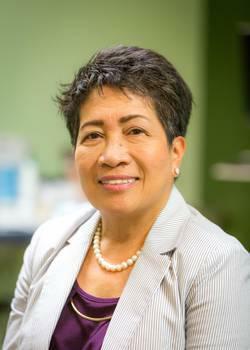 Irma A. Francisco, D.D.S. (General Dentistry) is based out of San Jose, CA. Irma A. Francisco values your feedback and has received 24 reviews with an average rating of 5.0 from patients. Click on the Post Review button to share your comments. My family has been coming here for nearly 10 years and not a single complaint. All the assistants and Irma are so nice and continue to do their best every visit. I am never disappointed. Thank you for all the past and future teeth cleanings. Best Dentist Ever! I been with Dr. Irma for more than 3yrs now. My sister recommended her and shes been wonderful to me and my family. I'd recommend her to all my friends and coworkers. The best thing about Dr. Irma, she will take care of you like her family. Thanks Dr. Irma!!! I've been going to Dr. Francisco for a really long time. She fixed all my fillings and fixed my crown that my old dentist messed up on. She was able to pull out 3 of my wisdom teeth without having to send me to a specialist and going through all that pain and ordeal. Whenever I have something wrong with my teeth she shows so much concern and squeezes me in her busy schedule to fix the issue right away so it doesn't get worse. BTW...I am so afraid of needles and she makes it so easy and painless if I do need to get a shot. Out of all the dentist I have had, she is the best! Shes caring, thoughtful, considerate and very mindful of her patients. I definitelyrecommend her! Love Irma and all her employees! I've been coming here 2+ years and have always been satisfied. I'm sort of a baby when it comes to the dentist but Irma has soft hands and I'm never left feeling pain or discomfort. She always asks if I'm okay and makes me feel at ease. The wait times are fast and the front desk receptionists are friendly and prompt. I'll always come back here for all my dental needs. Very accomodating when I called to inquire... I was able to get an appointment for my kids right away... Love the Text confirm and reminder of the appointment! Today my kids had their dental check and Teeth cleaning done... Dr Irma Francisco and her staff are very friendly and professional... Dr Irma Francisco took time to explain the proper way of brushing and flossing to my kids... Its better when they hear it from the dentist! Great experience! Dr. Francisco has been my dentist for many many years! I have had no problems and the staff are great! Dr. Francisco was great! Her staff was incredibly friendly, polite and knowledgeable. Dr. Francisco is so sweet and was very helpful in my visit. Happy to have found a dentist that I don't dread having to go see.I'm not from the San Jose area so it was quite a drive to come see her. But I have to go see a specialist and she was glad to call through her network to find someone in my area and provide me with their information while also making sure they were going to take good care of me. The personal touch was very much appreciated. My family and I have been going to Dr Francisco for over 13 years. I am terrible when it comes to dentist procedures. She is patient and keeps me laughing through the entire procedure. My family loves her and her team. We highly recommend her services. I've been going to Dr. Francisco for a really long time. She fixed all my fillings and fixed my crown that my old dentist messed up on. She was able to pull out 3 of my wisdom teeth without having to send me to a specialist and going through all that pain and ordeal. Whenever I have something wrong with my teeth she shows so much concern and squeezes me in her busy schedule to fix the issue right away so it doesn't get worse. BTW...I am so afraid of needles and she makes it so easy and painless if I do need to get a shot. Out of all the dentist I have had, she is the best! Shes caring, thoughtful, considerate and very mindful of her patients. I definitely recommend her! Dr Francisco has been my dentist all of my life and I look forward to going to the dentist because she cares for her patients' dental health and well-being! My family and I have been going to Dr. Francisco for years and have had nothing but the best dental care. I would highly recommend her as your next dentist. Great dentist and great staff! My wife and I are picky when it comes to choosing a family dentist, since we had a few really unpleasant experiences before. Well, my wife and I could never be thankful enough to a family friend who has referred her to us and this was 5 years ago. Dr. Francisco has always shown us her exemplary competency in her work and also in her work ethics. Yes, she is that good and dedicated to her profession, and I highly recommend her to anybody. My 4 children and myself have been going to Dr. Francisco for many years. We have been very happy with the service. The staff is extremely nice and they are good at making you feel comfortable and relaxed. I have been through many different dentists in the past and once we found Laguna Dental Care we were happy enough to look no further. I highly recommend it! I have been a patient of Dr. Francisco since January 2011. During this time she has replaced numerous very worn out fillings, pulled a wisdom tooth and a severely damaged tooth, and fitted me for a crown after a root canal. I have been extremely pleased with all of her work and the gentle care that she has shown me as her patient.I had not seen a dentist for 26 years due to apprehension at having dental work done. My previous unpleasant experiences with dentists had left me terrified of them, until I had work done by Dr. Francisco. One of her professional strengths is insuring that I am comfortable and at ease. She gives an almost unnoticeable anesthetic injection. Her work is thorough and completed in a timely manner. Dr. Francisco begins work on my teeth and stays with me until her part of the procedure is done unlike my experiences with other dentists. Dr. Francisco’s dental technicians and office staff have always been courteous and accommodating to my needs and schedule. I highly recommend Dr. Irma Francisco to anyone seeking a skilled dentist with an outstanding dental chair side manner. Thanks to Dr.Irma Francisco! She did an incredible job to my teeth,I thought I would never smile again! Dr Francisco does really great work and is very concerned with your comfort. Shes a great Dentist but an even nicer lady. Shes been my doctor since i moved to this area in 06! I'm been going to Dr. Francisco for a little over two years and I've had nothing but positive experiences. I rate her as delivering the gentlest and most pain-free cleaning/filling experience out of the three dentists I've used regularly in the last 6 years. I also give her high marks for professional competence since my teeth have been doing great since I've been visiting her. No cavities in my last visit, yay! I have been seeing Dr. francisco since I was younger, in my teens. No mattee where I moved with my family, We had always gone to her. She is a very warm and caring doctor and has always had a great professional, but caring personality. Her office is located in the small corner of the shopping center and is small, but welcoming. The reception staff is one of the best - always willing to squeeze myself or my fiance in if I need to, and have always been great when explaining billing issues. The hours are incredible as well - they are open as late as 7 pm on business days and have great weekend hours as well!! The RDHs are fantastic. They are always quick and very sweet. Light handed and always explain procedures if you need it. Dr. Francisco is perky and fun to have as a dentist, I consider her as one of the best, as she's always been thorough but quick, and light handed, and is great at what she does. She will take her time to explain anything you need to understand and make sure you walk out confident about the service you have recieved. I miss her and her office terribly, as I am not located in the east bay and can no longer travel to san jose - but I had been for quite sometime until I found a new dentist here in Fremont. But go with Dr. Francisco - she is one of the best dentists out there!